Following a well-designed protocol is essential to achieving accurate and consistent results in scientific research. Now, scientists using Neurolucida 360 for dendritic spine and neuron analysis can follow a published set of guidelines to ensure optimal confocal data series for proper dendritic spine quantification and neuron reconstruction. The paper, written by MBF Bioscience scientists and researchers from the Icahn School of Medicine at Mount Sinai in New York, was published in Current Protocols in Neuroscience. 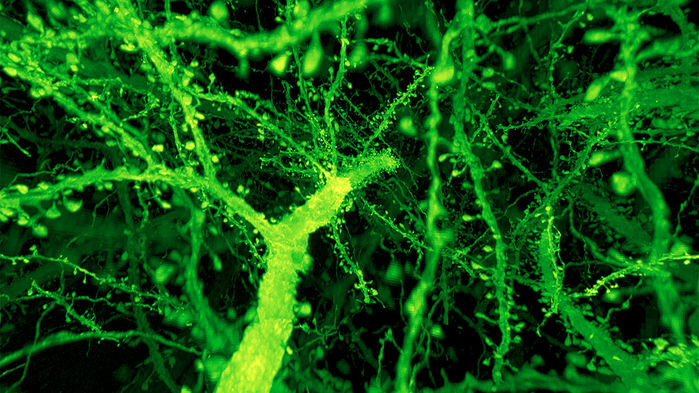 The four protocols describe best practices for imaging and analyzing dendritic spines and entire neurons. Clearly laid out procedures specify necessary materials, image acquisition techniques, and analysis procedures with Neurolucida 360. Imaging technique is crucial to obtaining unbiased, reproducible results. Clear, crisp images captured with an appropriate z-interval will make analysis with Neurolucida 360 easier and more accurate. Throughout the paper, the authors emphasize the importance of image scaling parameters and unbiased sampling for achieving repeatable results. They also discuss the benefits of correcting optical distortion, especially in the Z-plane, with deconvolution to acquire clear images – a process critical to getting the most accurate representation of dendrites and spines. Accurate spine classification and length quantification using a five-point segment that more accurately models the spine backbone. 3 user-guided and automatic algorithms to accurately model neurons visualized with multiple methodologies and imaging techniques. A large number of metrics, including volume, length, and surface area. Representative images of Iba-1+ microglia in the postnatal day 10 rat hippocampus. Image courtesy of Anna Klintsova, PhD. Children born with fetal alcohol spectrum disorders face a range of physical and cognitive impairments including long-term deficits in learning, behavior, and immune function. In a paper published in Neuroscience, Dr. Anna Klintsova and her lab at the University of Delaware report that activation of the brain’s immune response may contribute to some of the damage caused by fetal alcohol spectrum disorders. 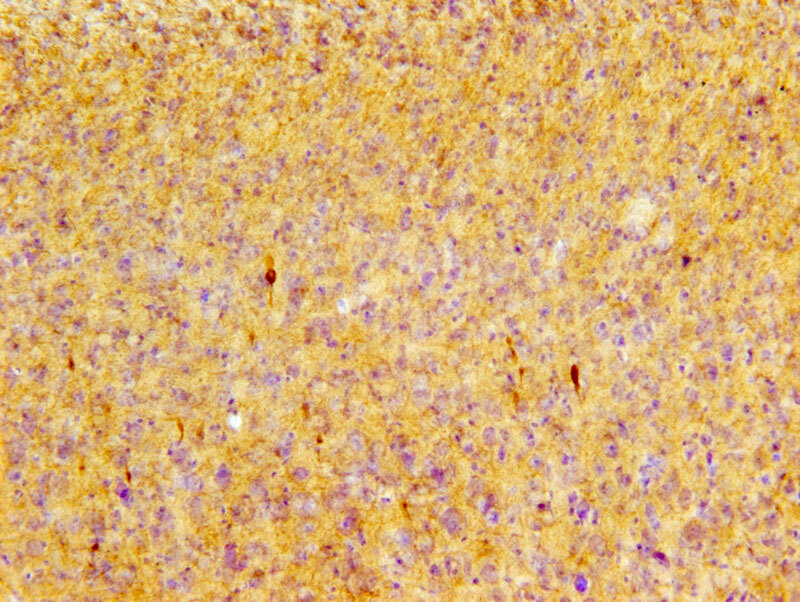 In their study, the researchers used Stereo Investigator and Neurolucida to examine the hypothesis that exposure to alcohol while the brain is growing rapidly is associated with abnormal microglial activation and high levels of pro-inflammatory proteins which impair learning-related plasticity; leading to neuro-developmental and psychopathological disorders. They used Stereo Investigator to quantify the number of microglia in the hippocampus of neonatal rats who were exposed to alcohol during the equivalent of the third trimester of a human pregnancy. The researchers expected to see an increased number of microglia in alcohol-exposed neonatal rats, however they found a decreased number of microglia. 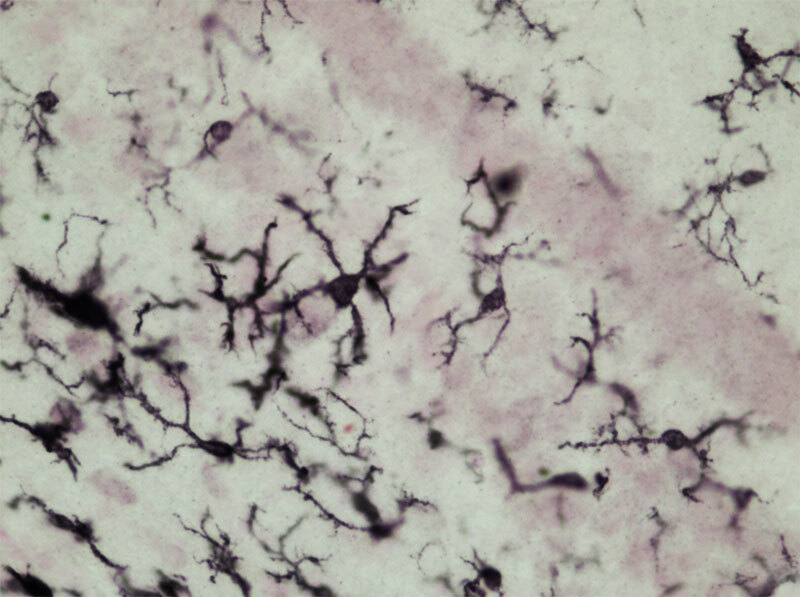 Despite the decrease in microglia number, there was a significant increase in pro-inflammatory proteins expressed by microglia and an increase in microglial activation. 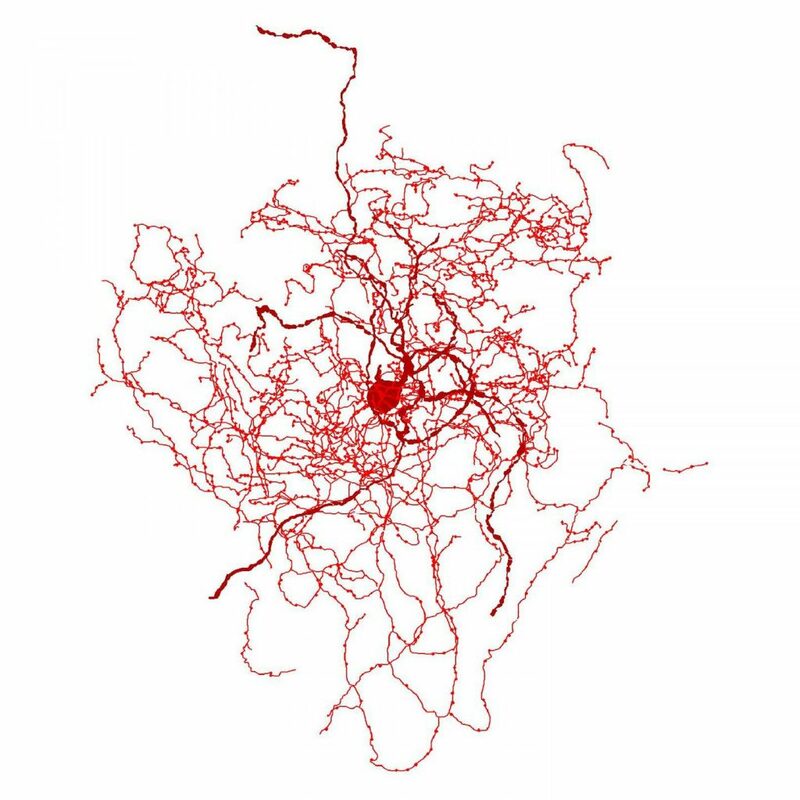 To measure microglial activation, the researchers quantified the area of cell territory using Neurolucida. Activated microglia have a smaller cell territory than resting microglia, so the smaller cell territory found in alcohol exposed rats indicates a more active state. This research supports the hypothesis that abnormal microglia activation plays a role in fetal alcohol spectrum disorders, however more research is needed to further understand the relationship. Doctors have used lithium to treat patients with bipolar disorder since the 1970s. Known for its efficacy in stabilizing patients’ moods by regulating manic episodes, lithium is also associated with a decreased risk of suicide. But while this naturally occurring element is the most widely prescribed medication for those suffering from bipolar disorder, scientists still have much to learn about how lithium physically affects the brain. A recent study published in the journal Bipolar Disorders adds to the growing body of evidence that says lithium contributes to cell proliferation in parts of the brain. Conducted by scientists at the University of Mississippi and the VU University Medical Center in Amsterdam, the study revealed an increased number of neurons and glia, and increased astrocyte density in the dentate gyrus of lithium-treated mice versus controls treated with a placebo. Using the optical fractionator probe in Stereo Investigator, the researchers quantified the number of Nissl stained neurons and glial cells, and calculated astrocyte density. The results showed twenty-five percent more neurons and twenty-one percent more glia in the denate gyrus of lithium-treated mice. They also performed a stereological examination of another brain region – the medial prefrontal cortex (mPFC), but did not witness significant differences between lithium-treated and control mice in this area. According to the paper, the findings present a more detailed picture of lithium-induced alterations in the dentate gyrus cellular phenotype than previously available, and provide the first evidence for lithium-induced increases in glia and astrocytes. Rajkowska, G., Clarke, G., Mahajan, G., Licht, C.M., van de Werd, H.J., Yuan, P., Stockmeier, C.A., Maji, H.K., Uylings, H.B., Differential effect of lithium on cell number in the hippocampus and prefrontal cortex in adult mice: a stereological study. Bipolar Disord. 2016 Feb;18(1):41-51. doi: 10.1111/bdi.12364. This figure illustrates the separate and combined effects of acute stress and fear conditioning/extinction on dendritic morphology of pyramidal neurons in the infralimbic region of medial prefrontal cortex. Each neuron shown is a composite made up of apical (blue) and basilar (orange) arbor near the mean of the group. 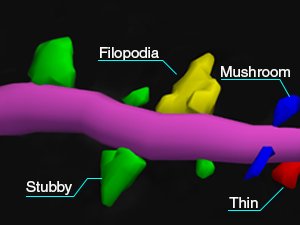 The apical and basilar arbors of each composite are from different neurons. Image courtesy of Cara Wellman, PhD. A soldier jumps at the sound of fireworks. Though there is no threat to his or her life, the blasts mimic the ones heard on the battlefield, and that fear response is not easy to forget. The process of shedding a fear response like this one is called fear extinction. Scientists think patients suffering from stress-sensitive psychopathologies, like Post-Traumatic Stress Disorder, aren’t able to suppress certain fear responses because of deficits in their brain circuitry induced by stress. A recent study by researchers at Indiana University and the University of Haifa, in Israel, describes significant differences between the brains of stressed rats and unstressed rats. 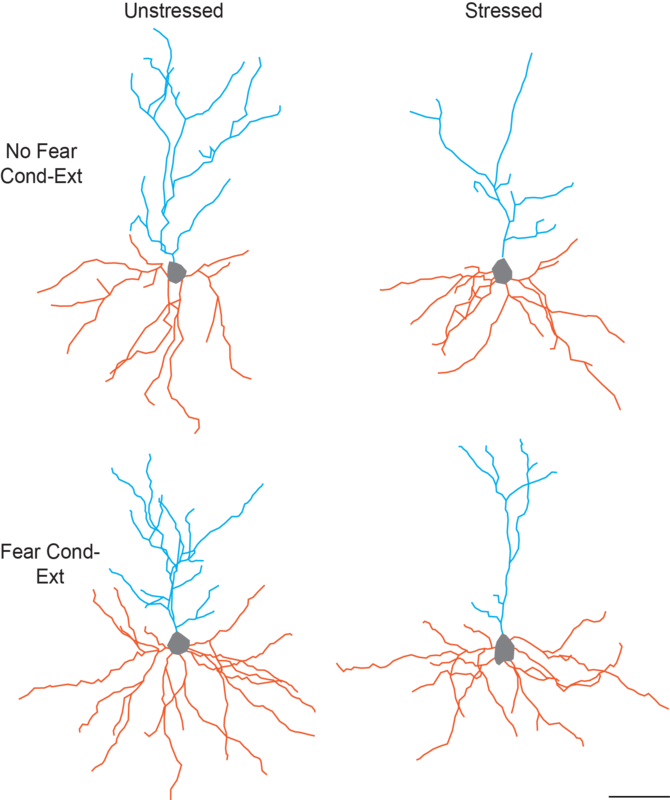 Using Neurolucida to analyze neurons in the infralimbic cortex (IL) – a region of the brain associated with fear extinction – the research team found that stressed rats had shorter dendrites and less dendritic branching in pyramidal neurons of the IL. They also found that while stress had no affect on spine density, rats that underwent fear conditioning and extinction had decreased spine density on apical terminal branches, providing evidence that dendritic morphology in this region is sensitive to stress, while spine density may be a reflection of learning. To achieve their results, the researchers subjected rats to fear conditioning, where they learned to associate a certain tone with a footshock. Some of the rats were then exposed to an elevated platform in a brightly lit room for 30 minutes (stressed) while others returned to their home cages (unstressed). Next came extinction sessions. In a test to see if they would be able to shed the fear response associated with the stimulus, rats were placed in a space where they heard a tone but did not experience a footshock. The scientists observed that stressed rats exhibited freezing during the extinction sessions at a much higher rate than unstressed rats, leading them to believe that rats exposed to acute stress were resistant to fear extinction. Further quantification of apical and basilar dendritic branching in the pyramidal neurons of the IL, measured with three-dimensional Sholl analysis, confirmed differences between the stressed and unstressed rats’ brains that correlated with fear behavior. 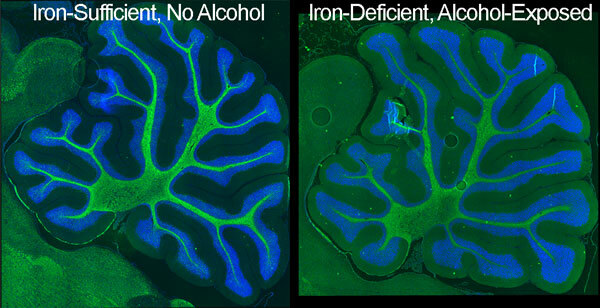 An immunostained image of myelin basic protein in the cerebella of a mouse brain with an iron-sufficient diet compared with the brain of a mouse exposed to alcohol and fed an iron-insufficient diet. It shows the reduced cerebellar size due to the ID-alcohol combination. 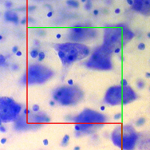 Green is MBP immunostain, blue is DAPI for nuclei. Image courtesy of Susan Smith, PhD. If a pregnant woman drinks alcohol, she risks giving birth to a baby with physical and cognitive deficits – characteristics of fetal alcohol spectrum disorders. In a new study, researchers say that when the mother is low in iron, the consequences are even worse. The scientists examined two groups of pregnant rats – one group was fed an iron sufficient diet while the other was fed a diet with insufficient iron levels. The offspring from both groups were exposed to alcohol from 4 to 9 days after birth – a time when their brains are going through a growth spurt and are particularly sensitive to alcohol. They were compared to offspring who received an iron-sufficient diet but were not exposed to alcohol. This growth spurt correlates to a growth spurt in humans that occurs during the third trimester of pregnancy. The researchers used delay and trace eye blink classical conditioning methods to assess the offspring’s learning and memory. Learning impairments were reported in both alcohol-exposed groups regardless of their iron status, but more extreme impairments were seen in iron deficient rats compared to iron sufficient rats. After the behavioral tests were completed, the researchers studied the cerebellum and hippocampus – brain regions involved in learning and memory – at a cellular level. 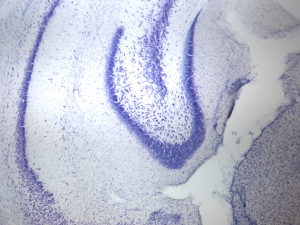 Phosphorylated tau pS422 immunoreactive profiles (dark brown) in the cortex of P301S mice after repetitive mild TBI. Image courtesy of Dr. Leyan Xu, Department of Pathology, Johns Hopkins University. Over the course of a football game or a boxing match, athletes may experience a series of mild concussions. Some of these athletes develop a condition known as chronic traumatic encephalopathy (CTE), a neurodegenerative disease characterized by the build-up of abnormal tau protein that eventually leads to dementia. But not every athlete develops CTE after repetitive mild traumatic brain injury, and scientists think genetic factors are involved. 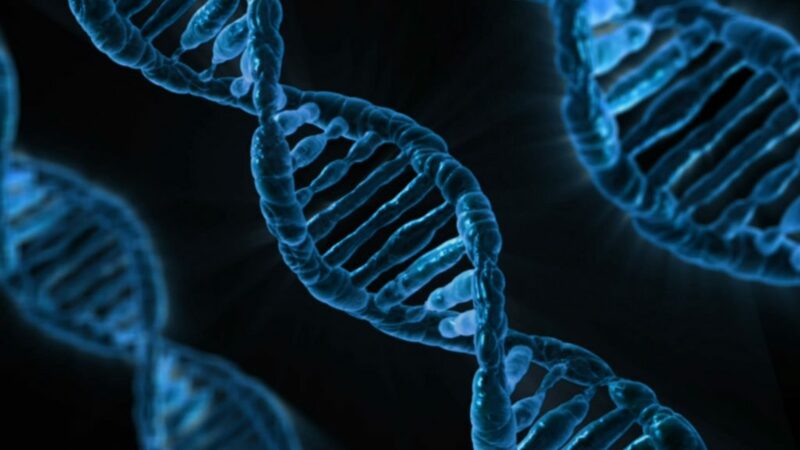 In a recent study, researchers at the Johns Hopkins University School of Medicine found that the density of abnormal tau protein increased exponentially in mice that had a genetic mutation thought to cause neurodegenerative diseases. Their findings contrast with previous studies of mice without genetic mutation, where abnormal tau protein build-up did not occur. This evidence leads the scientists to infer that genetic factors play a role in the onset of CTE.